DDoS Attack 2016: Twitter to Clinton-Trump sites are victim. 2016 is again a prolific time for Distributed Denial of Service or DDoS attacks. Starting from Twitter to Clinton- Trump election campaign websites all are victim of DDoS attack. 70% increase in UDP flood attacks. Top 10 Source Countries for DDoS Attacks, Q2 2016 are China, US, Taiwan, Canada, Vietnam, Brazil,SpainnSingapore, Italy and UK. Let’s look at few DDoS attack that happened so far in 2016. According to findings from cybersecurity firm Flashpoint, Hackers attempted 4 Mirai botnet Distributed Denial of Service (DDoS) attacks against campaign websites of Hillary Clinton and Donald Trump during this week of election in US.An open source denial of service toolkit – Mirai botnet infects Internet of Things (IoT) devices with weak security and to launch DDoS attacks. Recently PCworld published that DDoS attack from Mirai is killing business in Liberia.Hackers are creating botnets with Mirai malware ever since release of the source code on a forum in late September. About 500,000 internet devices, including surveillance cameras and DVRs, are estimated to be infected with Mirai. According to Downdetector.com, 14,000 people experienced issues connecting to Twitter for nearly three hours. The outages seemed to predominantly affect users across the USA and Japan, however Twitter has not stated what caused the crash. Twitter went down shortly after WikiLeaks posted to their Facebook page saying that they were receiving a DDoS attack (Distributed Denial of Service) on their servers. 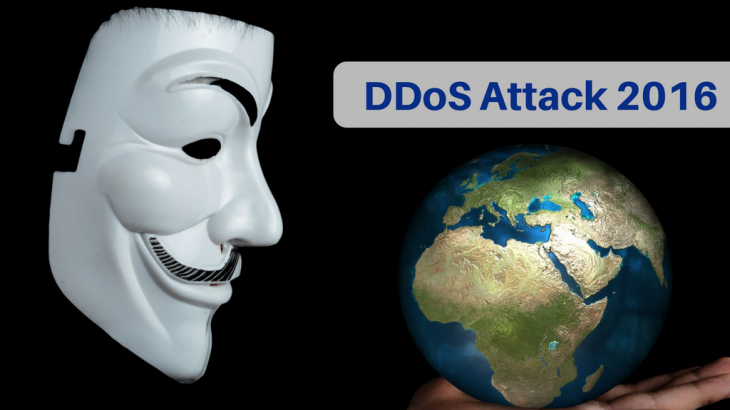 On 21st Oct 2016 DDos attacks happend to Dyn by directing huge amounts of bogus traffic at targeted servers. Dyn is is a major provider of DNS services to other companies.This attack affected some major websites including Twitter, Pinterest, Reddit, GitHub, Etsy, Tumblr, Spotify, PayPal, Verizon, Comcast, and the Playstation network. Other than this it is likely that thousands of online retail operations were attacked. Bitcoin startup Coinkite, Inc. has announced that it is closing down its secure Bitcoin wallet service in order to focus on building hardware-based Bitcoin products instead due to continuous DDoS attack. Big DDoS attacks affect some Amazon Web Services customers as reported by Geekwire. Now you can mitigate DDoS with proper DNS Strategy. Logix Infosceurity being into this security domain since last 17 years can easily tell you if your website is prone to DDoS attack. How to validate the most apt email hosting provider for your organization?